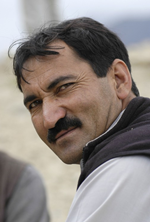 Kamal manages FFB's extensive education program in the Hushe Valley. His workload includes allocating funds and materials to the FFB sponsored schools, teachers and pupils, managing transport schemes to carry children from their remote villages to schools in the district centre, interviewing and employing new teachers, organising teacher training programs, liasing with other educational establishments, for example the Universities in Gilgit and Islamabad, and various departments in the government of Pakistan. 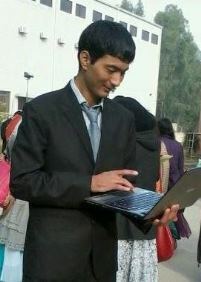 Kamal works continually to improve the quality of education in the area, introducing modern teaching methods and bringing in foreign teachers to lecture on classroom techniques. Despite the challenges of working in one of the poorest areas in the country, significant improvements continue to be made. Fatima is the FFB's gender coordinator. She is a role model for other women in the Hushe Valley where the life of a typical woman is extremely hard. As gender coordinator, Saima works to bring awareness of the benefits of education and health care to an area where women have previously had little status. Through community meetings, workshops and the establishment of Vocational Centres for women, Saima is spreading an understanding of how quality of life can be improved to the women of the Hushe Valley. 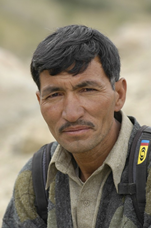 In 1995 Ibrahim Rustam, known to many as 'Big Rustam', was selected by the Alpine Club of Pakistan to be a climbing member of national expedition to climb the highest peak in the world: Mount Everest. While in Nepal, he visited a climbing school providing training in climbing techniques and mountain tourism to the local youth. Inspired by this initiative, Rustam decided to replicate the climbing school in his own village. Together with Shamshair Ali, Akhon Ibrahim and Rustam Ali they established the 'Green Mountain Climbing School Machulo' and registered it with the government of Pakistan. The climbing school brought Ibrahim into contact with international mountaineers including the Basque climbers Felix and Alberto Iñurrategi. In 2000, when Felix was sadly lost in an accident on Gasherbrum II, the climbing school was renamed to the 'Felix Iñurrategi Climbing School Machulo'. Today Rustam is a trainer at the climbing school which he also manages together with the Felix guesthouse in Machulo. Along with Ibrahim Rustam, Shamshair Ali and Akhon Ibrahim, Rustam Ali was a co-founder of the Green Mountain Climbing School Machulo. Today, Rustam Ali continues to work as a local trainer at the school, providing high standard climbing training to the youth of Machulo. Akhon Ibrahim is the third co-founder of the Green Mountain Climbing School Machulo. Today, Like Rustam Ali, he works as a local trainer at the school. Shamshair Ali is the fourth co-founder of the Green Mountain Climbing School Machulo. 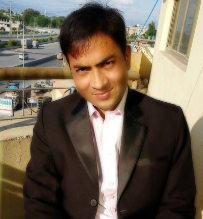 He is now Chief Executive Officer of the Felix Foundation Baltistan.